M.A. Rahman Chughtai came back from his second European tour in 1938. 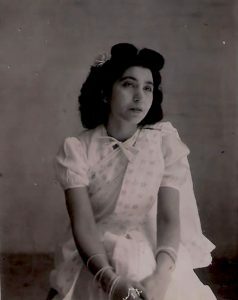 His eagerness to print an edition of a collection of his works as CHUGHTAI’S PAINTINGS was enormous. He was writing to Governmental people, public figures in Punjab, as well as in Hyderabad Deccan to finance his new publication. Possibly no one was willing to do so, and with the active help of his younger brother Abdur Raheem Chughtai, he carried out an edition. We normally took it to be in 1939, but the edition was so scarce that we were not in any position to confirm. Even Abdur Raheem Chughtai remembered it as being done in 1939. No fresh information was there. Letters from London exist of his anxiety to hurry such an edition. Recently a copy of the scarce edition was found in an Australian book shop. It seemed that a copy of the same was presented to an Australian by a member of the Punjab Legislative Assembly, that was the famous Syed Amjad Ali. 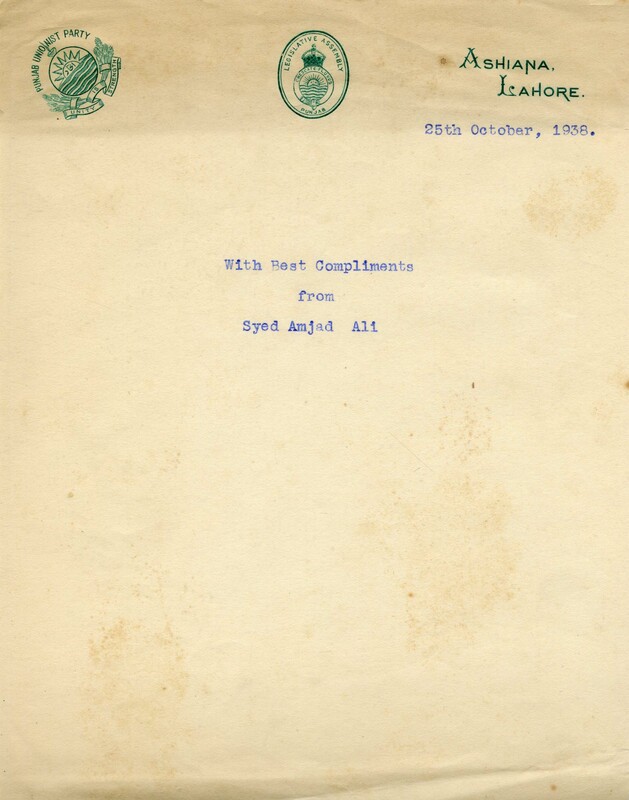 Syed Amjad Ali was Pakistan’s Ambassador to UN and the eldest brother of Syed Babar Ali. The edition has the statement on an official form in the book itself. All very official and it is dated 1938. Syed Amjad Ali was a member of the Punjab Unionist Party sat that time. 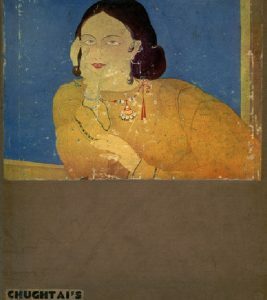 This edition of Chughtai’s Paintings has differences from the 1942 edition. 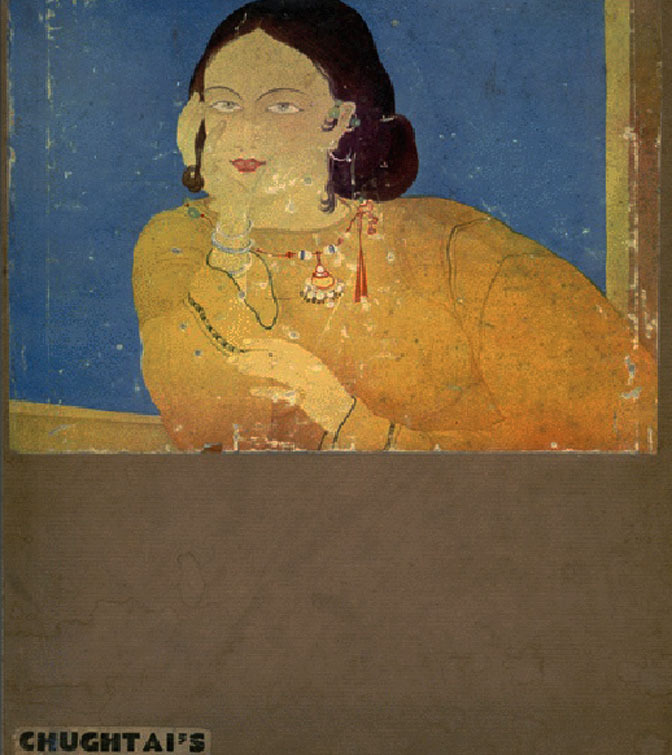 It is smaller in size, has a pink paper binding, and although it does carry many of the later paintings, it also has notes and introduction by the famous Razia Sirajuddin. I do not even think most people have seen or know about it. 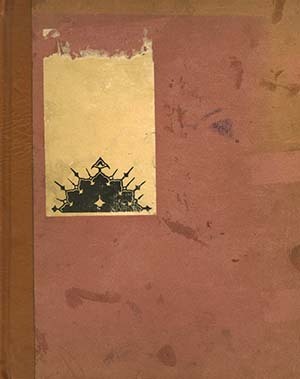 Possibly it was a low count edition, and it is on rather rough back paper. Some of the paintings are from his previous two books, probably of which the printing blocks were there. Some prints printed in England, others in Lahore. The binding was rather poor and got broken with time. I think possibly limited to a few hundred copies, most of them got destroyed in the great world war. We were able to obtain a copy from an old collector in Peshawer and now we have the second copy for our archives. We will add more information after careful study of the book. Our thanks to John and Julie of Noosa Books for the cooperation extended to us in acquiring same. Thank you both! Our research work is already impeccable.